If you haven’t taken significant time to strategize against chargebacks, your business could stand to lose a ton of money. Although many retailers have caught up to the fact that they need to fight against chargebacks, a lot more must be done in the eCommerce industry. According to Chargebacks 911, chargebacks, chargeback fraud, and associated expenses are costing the eCommerce industry over $40 billion a year. While 82% of organizations doing business within the CNP payment space dispute chargebacks, only 32% of them were successful more than 45% of the time. Nearly 23% of organizations reported chargeback rates of more than 1%. Only 45% of organizations use a third-party provider to prevent fraud, and only 21% use a third-party for presentment to dispute charges. Businesses that primarily do B2B transactions were the most likely to have win rates higher than 60%, but that percentage of businesses was only a meager 26%. The truth is that chargebacks are a way of life for eCommerce retailers. In some cases, chargebacks are not caused by malicious intent. They could be caused, for example, if the credit card holder forgot he or she purchased an item and decides to dispute it. 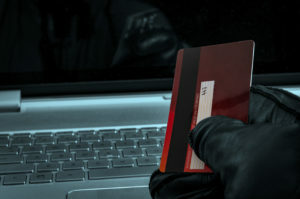 However, in many cases, fraud is the cause, which is why eCommerce retailers must invest in a best-in-class security solution to combat chargebacks. We are proud to partner with Kount to provide merchants with real-time analytics and help them differentiate between transactions that are legitimate and those that are questionable. Kount uses tools, like geo-locating and device fingerprinting, to prevent fraudulent transactions that could lead to chargebacks. Chargebacks are a problem that are not going away and could worsen as thieves develop more sophisticated tactics for stealing customer data and conducting fraudulent activities. We would encourage you to look at the Kount Fraud and Risk Management Solution to safeguard against fraud towards your business.